Its hard to beat kale in terms of maximum nutritional value for minimal calories. 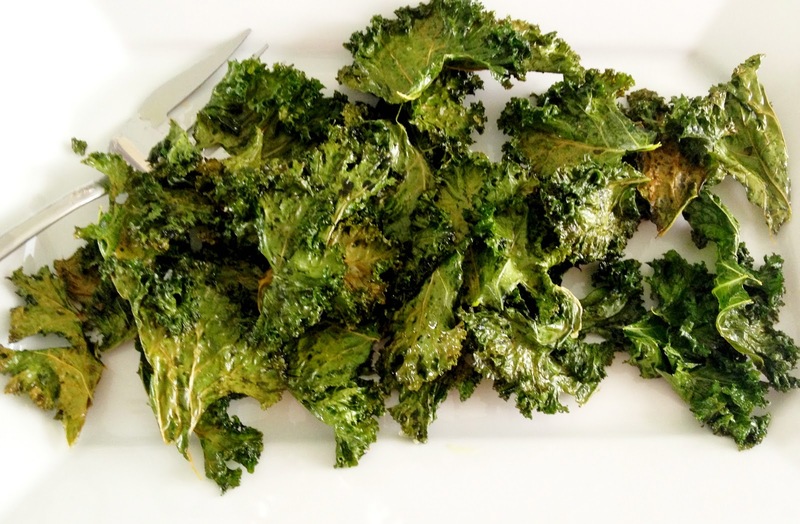 Kale is an abundant source of calcium and vitamin K, C, & A. Additionally it contains numerous antioxidants and is a proven cancer risk cutter. When I'm craving salt this is the perfect guilt free substitution for any bag of potato chips! Its quick, easy, and oh so good!! 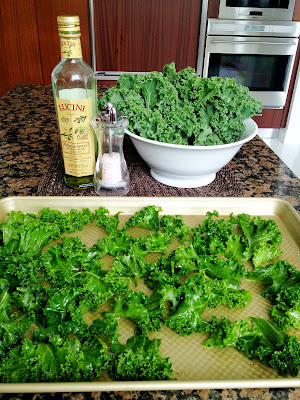 3-4 Organic kale leaves, rinsed and patted dry. Rip the stems by hand into around 2" pieces. Avoid using the stalk. Evenly spread out on a baking sheet and drizzle with extra virgin olive oil. Sprinkle with salt & garlic powder, and toss with your hands to evenly distribute seasonings. Bake for 12 minutes, or until crisp.